Ankole-Watusi events around the world. If you have an event you’d like us to add, please email us at info@watusi.org. 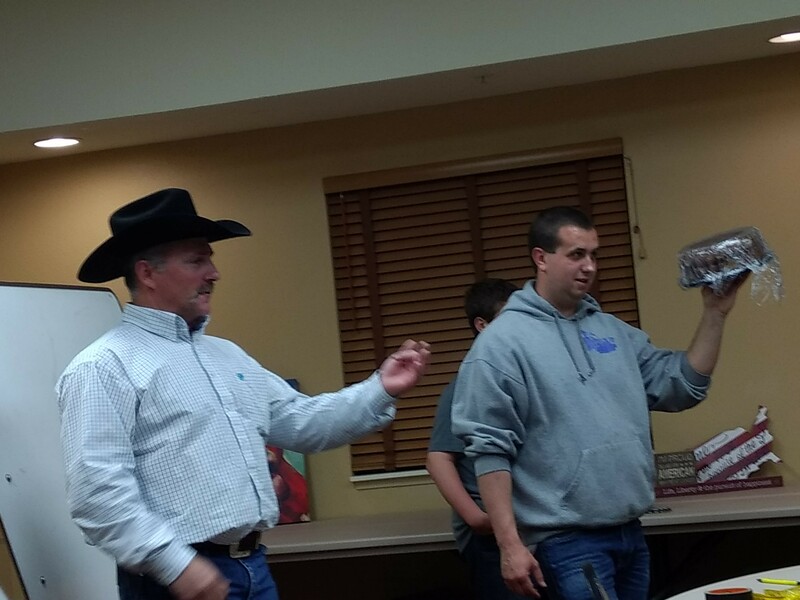 The World Watusi Association just finished our ‘Spring Fling ‘ meeting and auction at the Lolli Bros Exotic Sale and our April board meeting. 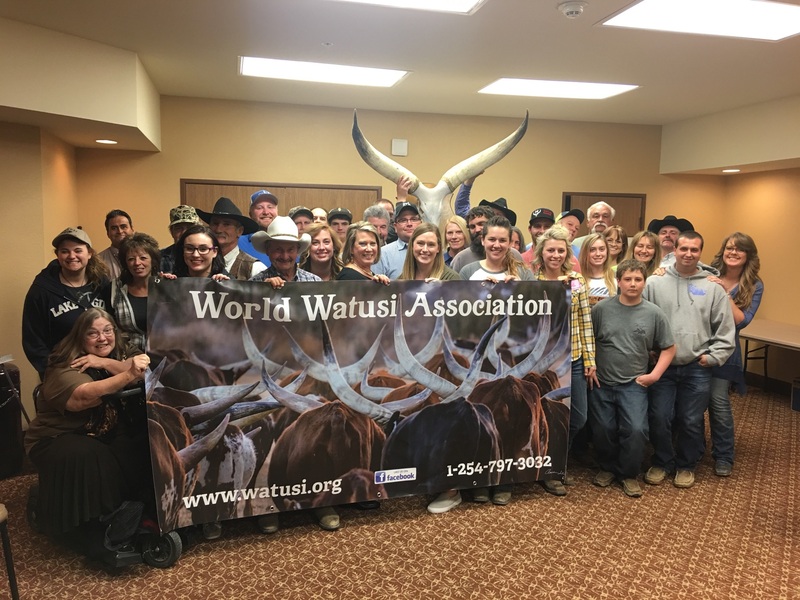 39 members attended the World Watusi Association meeting representing 9 different states. We addressed several pending issues as well as revisited some previous ones. The new up to date revised Rules and Fee Schedule are posted on this website. Some of the items are the controversial Hardship program that has been wildly successful. Although there are differences of opinion on the matter the Board of Director’s has extended the program indefinitely. We have recovered a number of quality animals into the breed as percentage animals as well as new enthusiasts and members from this program. The board examines any evidence and photographs of each individual animal submitted and determines if it qualifies as a percentage watusi or not. 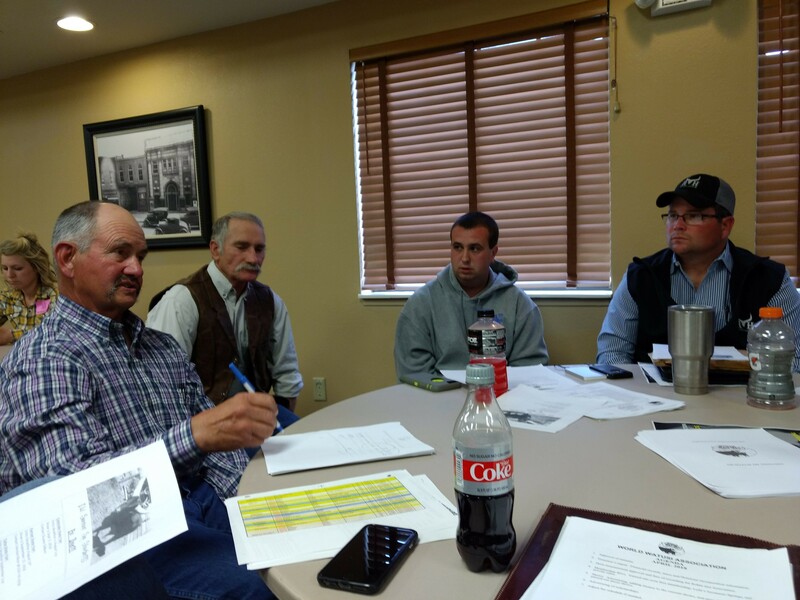 WWA Board of Directpr’s meeting. Blake Edwards, matt Moffatt, Sheri Gurr and Pat Burnett. As an incentive for membership we have continued and extended the program to award a free one year membership to any person or entity that has never been a member of the WWA that purchases a registered watusi at the Lolli Bros Exotic Animal Sale, Macon, Missouri; Triple W Exotic Sale, Cookeville, Tennessee; or at the Sycamore Springs Ranch Sale, Locust Grove, Oklahoma . Further we are offering a program to award $200.00 to the seller of the highest selling registered watusi steer at each of these sales. As the registry only offers registration to Foundation Pure and Native Pure bulls and no hardship on any bull. We are encouraging steering of as many males as possible. Registration is available for percentage steers or Foundation Pure steers at $10.00 from birth to 24 months of age and $20.00 over 24 months. Steers sell very well and can be shown in sanctioned shows. We do allow hardshipping of steers. 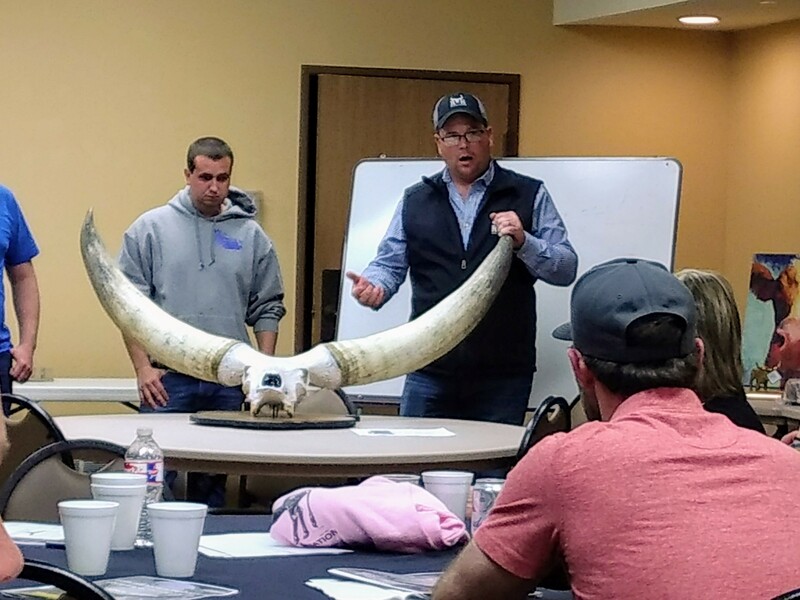 Garett Judd and Blake Edwards present the proper new WWA standard for measuring horns. 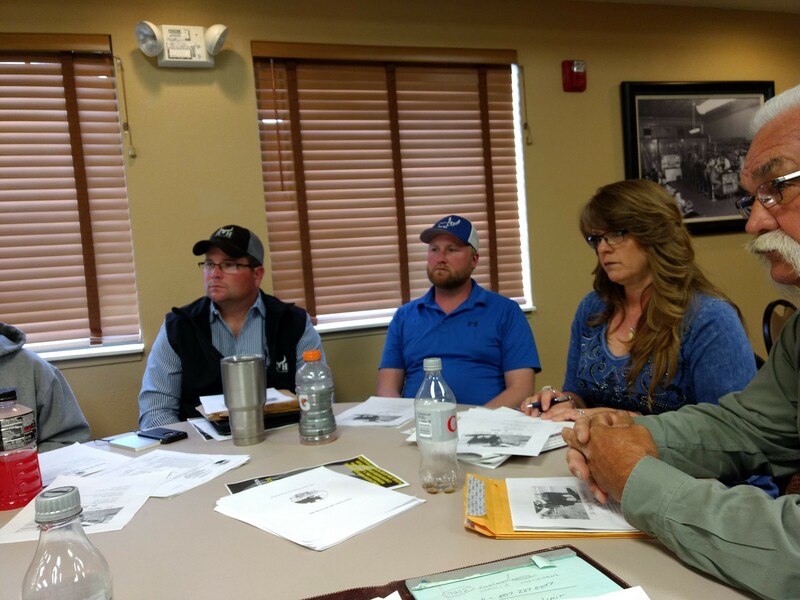 The Board has approved a new program of keeping records of horn measurement. This will be fleshed out as time goes on, but the objective is to catalog horn length and breadth for future generations. Through this method we hope to establish a system by which an animal’s total scores measure up against the rest of the breed. The form is available under ‘Forms and Documents’ on this website to be downloaded and viewed. There will be two systems of records listed on the site, those submitted by the owner and the official score as submitted through Official Measuring Committee members. Just a few items offered at the ‘Fun Auction’, the cute picture now adorns the waiting room of Dr. Cree Sisneros in Mt. 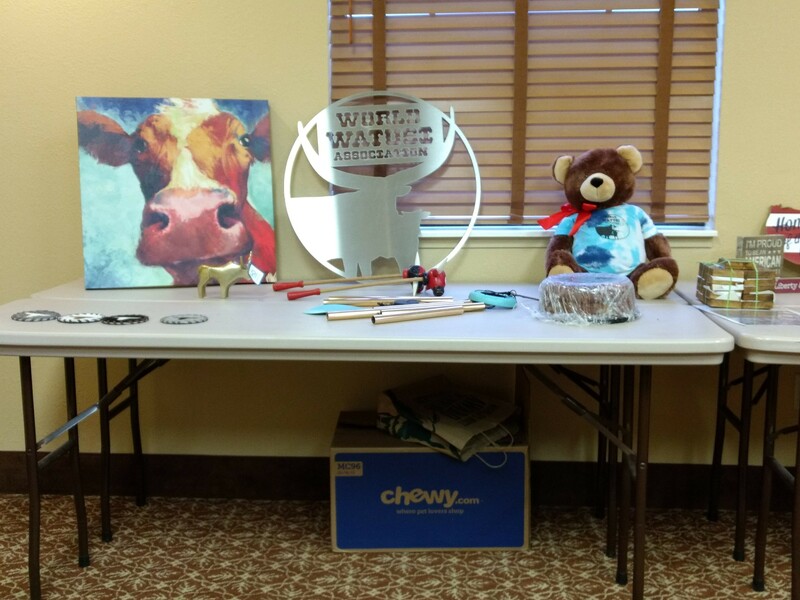 Pleasant, Texas; the beautiful WWA stainless steel logo is on display at Mariposa Ranch in Aubrey, Texas. The rum cake was a real winner. 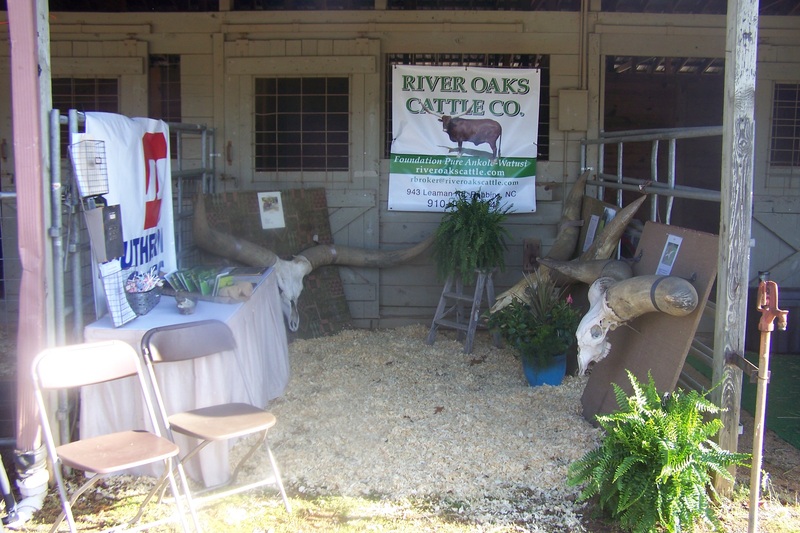 it is never too early to start planning for the fall show season. Plan on which animals you plan on showing and mark the dates on your calendar. Show books may not yet be online, but you can contact the WWA showperson for information. Don’t forget that this is the week for the Macon, Missouri exotic animal sale and the World Watusi Association Spring Fling. The Spring Fling is on Wednesday evening, April 11, 2018 at 7:00 pm (we erroneously said 6:00 in previous posts) in the conference room of the Comfort Inn, 1817 North Missouri St., Macon, Missouri. We will have a catered meal and our “Fun Auction” for fund raising. Bring your donations and your checkbook. The sale of cattle will be on Thursday April 12, there are a number of very nice animals consigned. Come early, stay late, bring your checkbook. 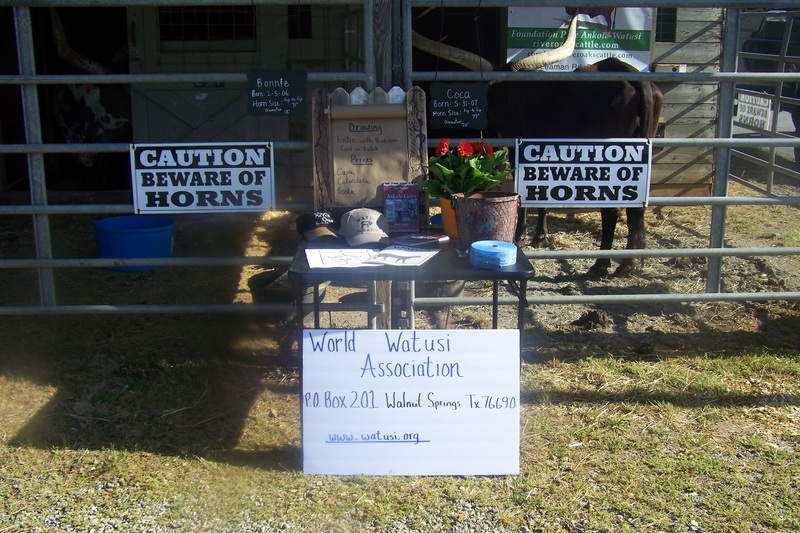 Representatives of the World Watusi Association will be on hand if you have any registration questions. 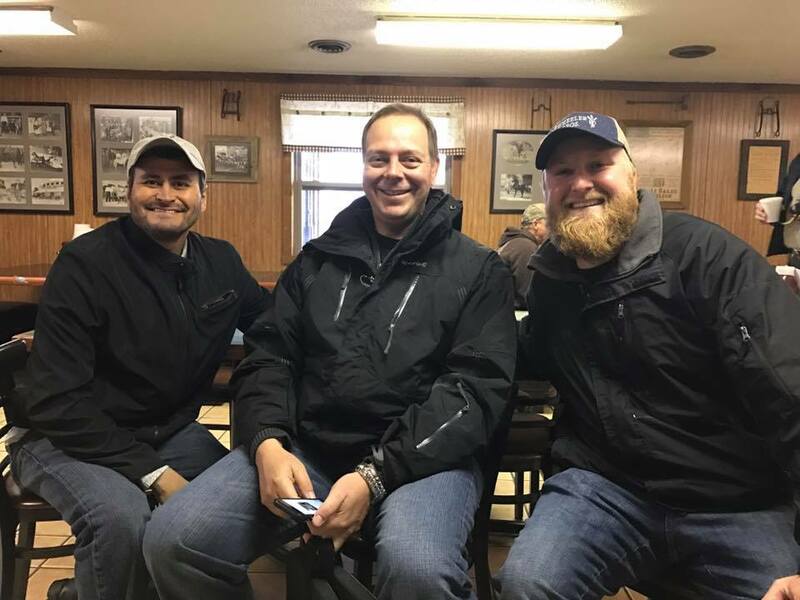 We will have a meeting of the Board of Director’s at 5:00 pm on Wednesday April 11 also at the Comfort Inn prior to the Spring Fling. All members are, of course, welcome to attend. Just a quick reminder to all of our members and other Watusi enthusiasts. 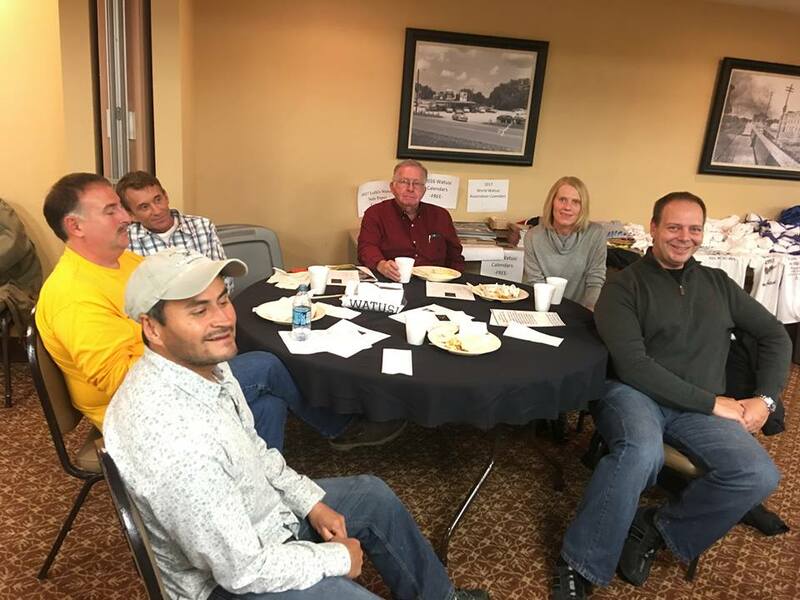 The WWA will have its annual Spring Fling get-together on Wednesday evening, April 11, 2018 at 6:00 pm in the conference room of the Comfort Inn, 1817 North Missouri St., Macon, Missouri. This is a great opportunity to share your stories, photos, brochures, animals for sale and such with others. We will have a meal catered by Noland’s in Macon and will offer our Fun Auction fund raiser. We will accept all donated items for our auction and usually receive many fun items such as skulls, artwork, food items, hot sauce, candy, local items from your home state, your imagination is your limit. We often have African items and Watusi related materials. Any questions of items that are of interest can be discussed. Any suggestions to help our association run more favorably are welcome. Watusi animals will be at auction on Thursday, April 12 so bring your checkbooks. This year the WWA is offering a free membership to any first time buyer purchasing a registered animal at this sale. I love this photo of Jacob. 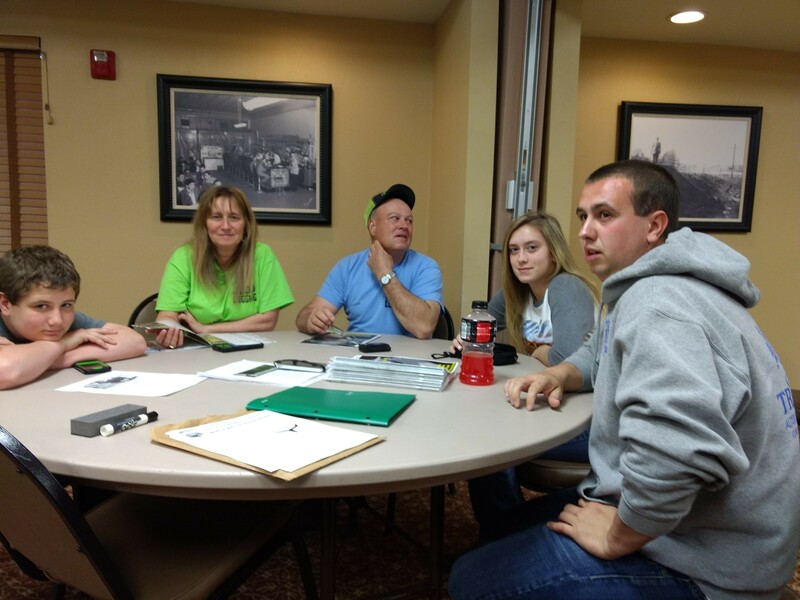 Lakota (Moore) took it on my phone while in the WWA meeting at Comfort Inn in Macon Mo. 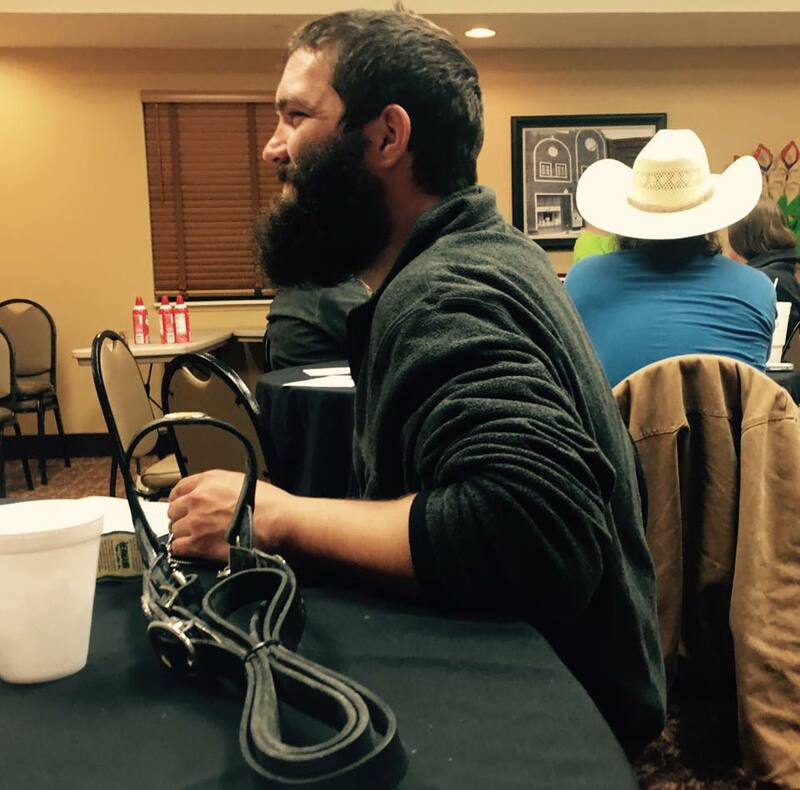 This is the face of a man who was awake and working for 36+ hours with no sleep and getting home to load up with me and Lakota and the trailer full of animals to drive 2 hours in pouring rain and heavy winds to make our wishes to attend the Lolli Brothers sale and WWA meeting a reality. This is the face of a man who would do anything for his family. After all that exhaustion and stress he is still here smiling and having a good time. So lucky to have him. 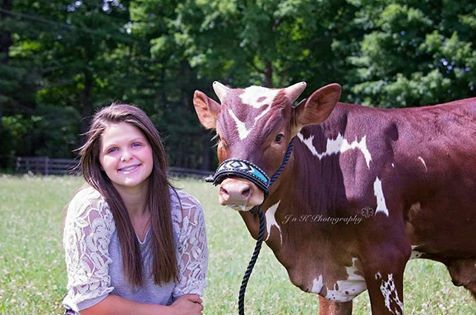 The World Watusi Association has started a yearly scholarship to be awarded to a graduating high school senior. Details for applications for the 2018 scholarship will be posted at a later date. We would like to congratulate our very first scholarship recipient, Olivia Woods, daughter of Lewis and Summer Deline of Reed City, Michigan. She attends Pine River High School. Olivia received the green hand award along with outstanding junior and proficiency award for exotic animals throughout the FFA along with competing in the job interview competition, and making 4th in the state this year and made it to state last year. 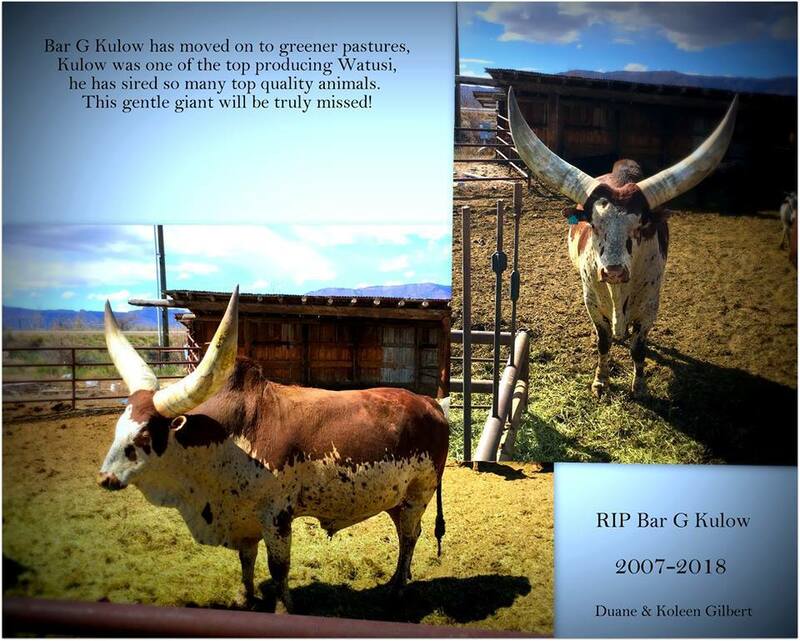 She has shown four different Watusi cows. Olivia plans to attend State University of New York College of Agriculture and Technology in Cobleskill, New York, for butchering. Don’t forget that there will be a watusi sale on Thursday, April 5, 2017 at the Lolli Bros Exotic Sale in Macon, Missouri. There are some fine animals consigned. This is one of the rare opportunities to view and purchase a number of registered watusi in one location. The World Watusi Association will also host their annual Spring Fling on Wednesday April 5, 2017 at 7:00 pm at the Comfort Inn in Macon, Missouri. All are welcome. Dinner will be served together with all the watusi gossip you can handle. We will also have our ‘Fun Auction’ of donated items including this year homemade pies. Bring your checkbook and the family.